Click on the appropriate class name below to sign up for training at The Wrestle Factory, or to register for one of our seminars. 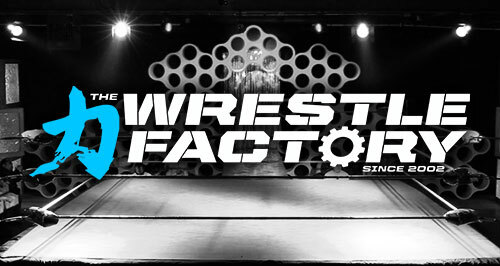 A 7-week pro-wrestling training course, offered at the Wrestle Factory on Sunday afternoons starting on Sunday, June 23, 2019 and ending on August 4, 2019. Classes will take place on Sunday afternoons from 3:00 - 5:00 PM. Please note: training fees are non-refundable. Classes will take place on Sunday afternoons from 12:30 - 2:30 PM. Please note: training fees are non-refundable. Beginner Level 201 is open to men and women ages 18 & over, who have already mastered the Beginner Level 101 curriculum. Class fees are non-refundable. This special seminar will be 2 hours long, from 11:00 am to 1:00 PM on Saturday, May 18th and will take place at The Wrestle Factory in Philadelphia, PA.
Seminar attendees will be invited to participate in a special event following this seminar at 1pm, expected to last an additional 2 hours. Limited to just 16 attendees! Dinner on Saturday night is included with your registration fee. Please note: all fees are non-refundable. On Sunday May 5th we'll continue learning from 12:00 pm - 5:30 pm. Rory Gulak - "Olympic & Freestyle Wrestling"
Mike Quackenbush - "Exotic Submission Holds"
Shayne Hawke - "Archetypes and Wrestling Audiences"
Mike Quackenbush - "Bolder Characters = Richer Stories"
Max Smashmaster - "Dynamic Stability"
Mike Quackenbush - "Fundamentals of Lucha Libre"
Solo Darling - "Networking & Personal Management"
Mike Quackenbush - "Your Big League Try-Out"
Juan Francisco de Coronado - "Getting the Right Reaction"
Coming from out of the area? The Days Inn at 4200 Roosevelt Blvd, Philadelphia, PA is located about 10 minutes from the Wrestle Factory and has very reasonable rates when booking online. A few degrees nicer (and pricier) is the Holiday Inn in nearby Bensalem, PA.